Some of the greatest basketball players of all time could have been even greater if they hadn’t been so afraid of looking like a “sissy.” Are you making the same kind of mistake? Wilt Chamberlain made history by scoring 100 points in a single game. Shaquille O’Neal led the NBA in field goal percentage ten times. Obviously, these two men are among the best of the best. But the two Hall of Famers stand out in one other way, too; they are the only NBA players ever to miss more than 5,000 free throws! If only there had been a way for them to improve their accuracy, imagine what they could have done. And the sad thing is, there was a solution—shoot underhanded. And both men knew it. As good as he was, Wilt Chamberlain went to his grave knowing he could have been better. That’s not a problem Rick Barry has. He’s one of the few NBA players ever to shoot the “sissy” underhand shot consistently and his excellent free-throw record earned him a spot in the NBA Hall of Fame. As Barry is happy to explain, it’s just a better way to make a free throw, more natural to the body and easier to control. So why aren’t the vast majority of players willing to use the better technique? It all comes down to a person’s threshold. As sociologist, Mark Granovetter explains, “…thresholds are external. They’re about peer pressure. 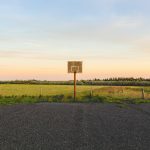 Your threshold is the number of people who have to do something before you join in.” In the case of Chamberlain and O’Neal, they had a high threshold when it came to shooting free throws. Basically, a lot of other NBA players would have had to make “granny” shots before they would follow suit. In contrast, Barry had a low threshold. His drive to be a better shooter outweighed his worries about looking like a “sissy” among his peers. Your threshold can play a huge role in your business successes. If you’re not willing to follow your better judgment and go against accepted norms, you may very well miss the opportunity to up your game. Within every industry and business, there are norms and processes that we take for granted and don’t even think of breaking. Now don’t get me wrong, some of these guidelines are important and good, but some of them aren’t. Sometimes we need to lower our threshold, stop caring what others think, and do what we know will lead to greater efficiency, greater opportunities, greater products, greater sales, greater SUCCESS! 1) Even if you enjoy great success, you can still be greater–go for greatness! 2) Your threshold is the number of people it will take to do something before you join in. 3) Certain norms are taken for granted and if you’re willing to step out of other peoples’ comfort zone, you may just be stepping up to the next level in your career–greatness. Free Business Consultation (click Free Consultation): Don’t be a hero, instead bring in professionals to analyze your business. Unlock greatness. ConvertKit: Email marketing made easy so you can focus on greatness.